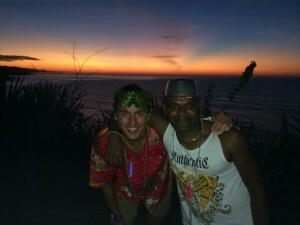 The sun rise party at the Atami resort on top of the cliff overlooking the sea was indeed a perfect spot in terms of both partying and to watch the sun rise on the New Year’s day. Eugene, I and his friends felt 20 USD for a party that included unlimited drinks and breakfast in the morning was a brilliant deal. We all made use of it and stayed up until the sun rise and slept after having breakfast! My excuse to chill and stay in the resort ran out since Christmas and New Year comes only once in a year. I left on the 2nd of January. The next 600 Km’s (route map updated) was done over 6 days cycling with a day stop over each at Leon, Managua and Granada. 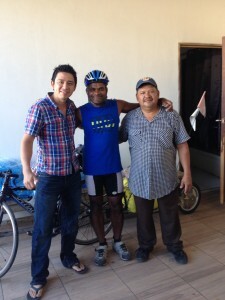 Eugene was not cycling anymore but backpacking around with his friend Charlou. After 5 days, I met them again in the hostel in Leon, Nicaragua. It was a bit strange to see him again as a backpacker. After La Libertad in El Salvador, I cycled for two days each in El Salvador, Honduras and then finally Nicaragua. These are all not too big countries and also the roads I took were mostly flat, nothing exciting in terms of scenery. It was too hot to enjoy cycling so I was merely pedalling to get through. 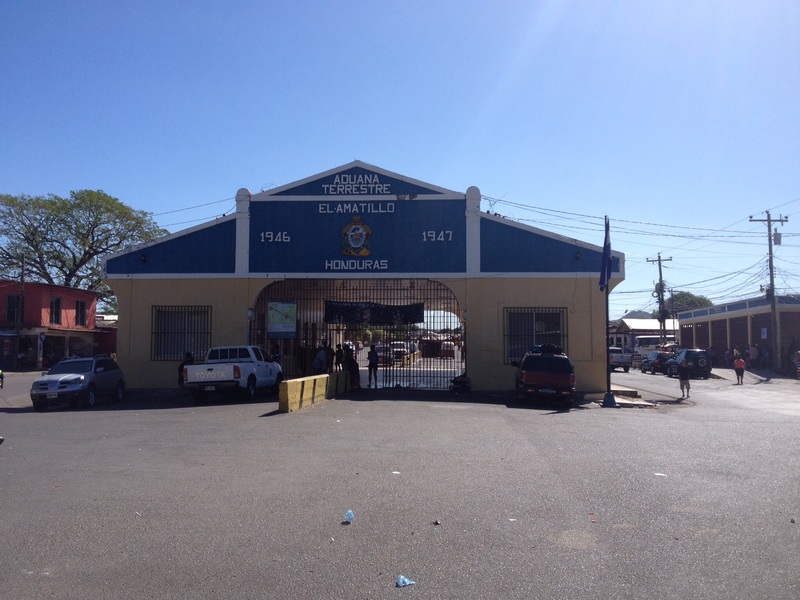 In terms of facilities and services Honduras was not great, it seemed very undeveloped. There were plenty of tourists in Nicaragua, especially in Leon and Granada, both of which were well known for its colonial architecture. Safety is generally a concern in this region, however with sensible precautions and care cycling through this region was not a major issue. There were armed guards in front of banks and supermarkets and most of the little shops had iron bars through which commerce took place. In addition most shops were closed after dark and very few people were on the streets after the sun set. All these indicate security concerns although during the day life seem normal. In a small village called Villa 15 in Nicaragua, the hospedaje was full, so I went to the police station to ask for a place to camp. The officer asked me to cycle another 35 km’s to the next big town to find a hotel and warned me that I will be robbed if I stayed anywhere else. There is something to be said when a police officer warns of danger. 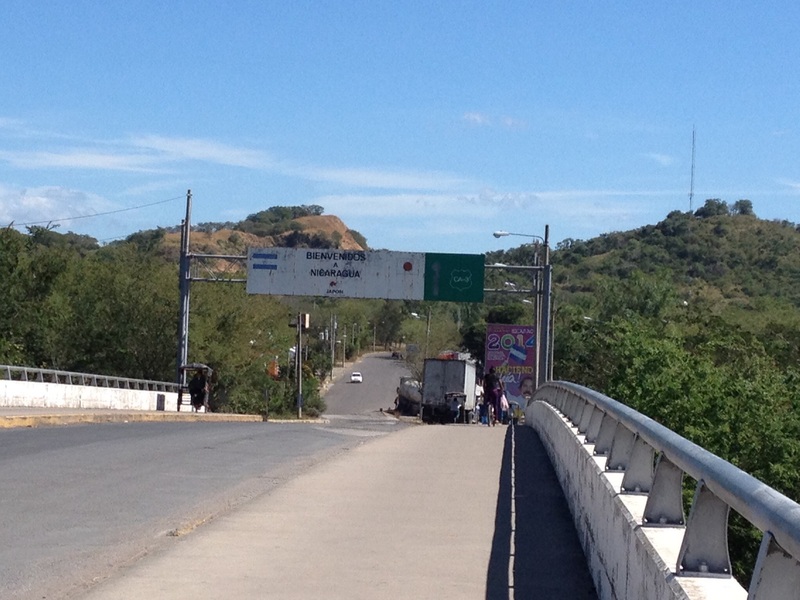 I crossed three borders over four days (El Salvador-Honduras-Nicaragua). Luckily, bicycle tourists don’t have the same bureaucratic nightmare as someone who is on a motorised vehicle. There were no information in English and mostly chaos at the borders. The border officers don’t seem to like their job, the clients (tourists) don’t like them either, a fatal combination if it were to be a business. The gringo calling restarted in Honduras and continued into Nicaragua. At the Honduras-Nicaraguan border, a group of fruit selling girls called me ‘hey moreno’. I was stopping there for the border formalities anyway, so I decided to challenge them. I said to them I wouldn’t call anyone ‘hey gordito’ (fatty) so there was no need to refer to my skin colour. The exchange went on for a few minutes. I hope they understood what I meant. Later, elsewhere, I learnt from some locals that referring by skin colour is quite normal in this region. I was more annoyed by their attitude than the name calling perse. 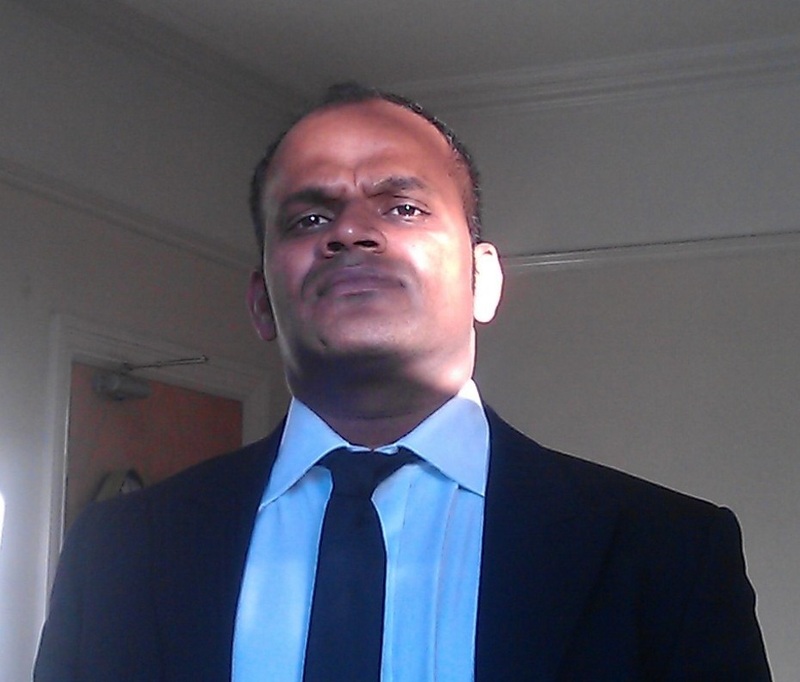 Besides, I had to point to them that their same skin colour was not much different to mine. 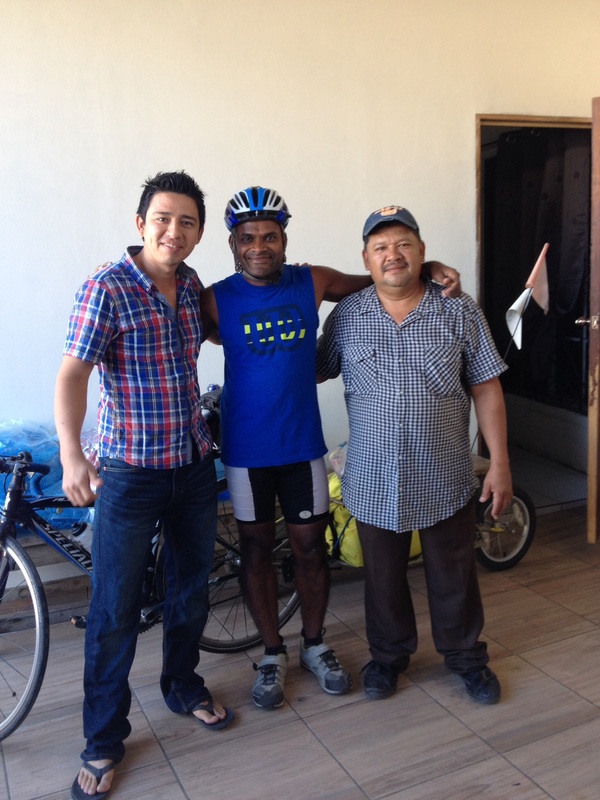 At Santa Rosa de Lima (close to El Salvador-Honduras border) I stopped at a small bicycle shop which was in the front yard of a house to ask for a hotel or camping spot. Martinez family were very kind and offered me a place to sleep immediately. On top of this they made dinner for me and wouldn’t let me leave without breakfast with them. I spoke with Walter who was studying engineering and was able to talk to me in English. When I informed him about Warmshowers he was very excited and signed up immediately to host cyclists in future. In fact he had a couple stayed at this place, just two days after I left. 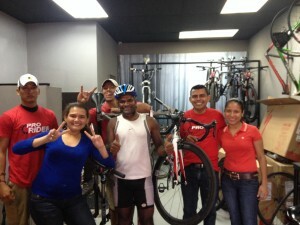 The support of the families like Martinez make this trip more adventurous and fun. 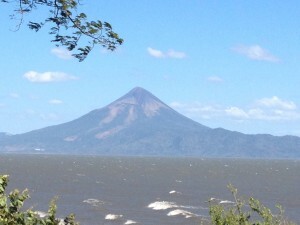 Nicaragua is a land of lakes and volcanoes. I passed by lake Managua and currently in a small island called Ometepe in Lake Nicaragua. There are two volcanoes in this island and I hope to climb one of them. I will stay here for two more days before I cross in to Costa Rica. Lakes and volcanoes – sounds excellent! I imagine “hey gordito” did not go down too well…hehe.